Don’t throw out your sugar pumpkins (the smaller-sized pumpkins) now that Halloween and Thanksgiving are over. What I like to do is make pumpkin pie puree and freeze it to be used for future pumpkin pie recipes. All you do is cut open and seed the pumpkin. Cut in quarters and place in a large pot with a little bit of water. Steam until the pumpkin is very soft. Then scape the pumpkin off of its skin and place in a strainer to remove any clumps. Then measure about 2 cups of pumpkin and about one cup of evaporated milk. Blend until thick. Then pour in mason jars to freeze. 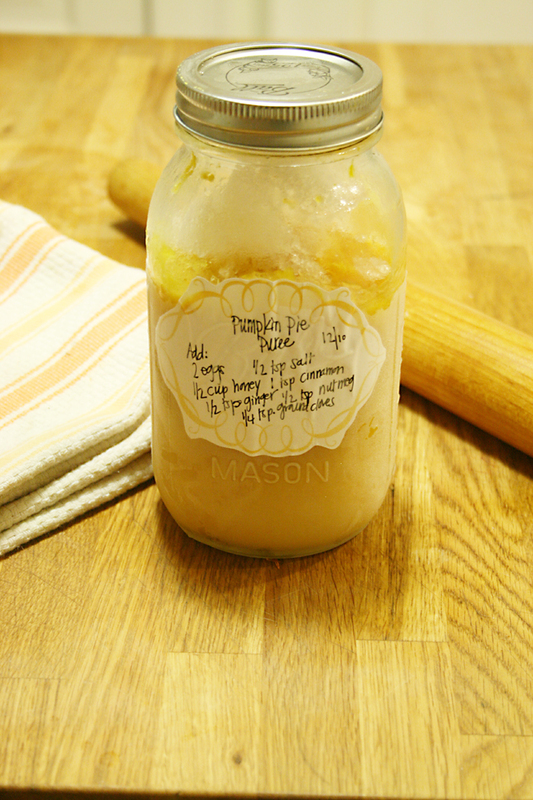 Make sure to write down on a label your favorite pumpkin pie recipe and stick to jars so your recipe is right there when you are ready to use. 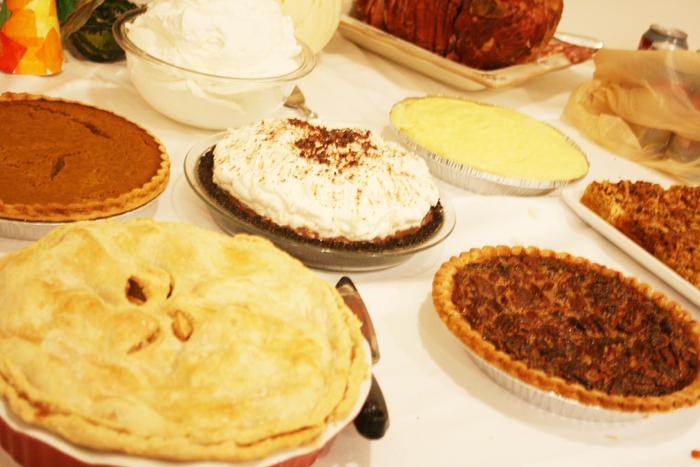 For thanksgiving I made pumpkin pie and used some of my frozen pumpkin puree that I made last year.